Many paddlers come from a preview experience on windsurfing, a modality where the fin has an important rol, and all the people who have done windsurf know that the fin can modify the performance of the board depending on the conditions of the sea. Fins improve the stability and maneuverability of the board so you can go faster than before and get the goals that you have on mind. If we talk about fins for SUP, the name is Black Project. A brand that you surely meet if you are paddling for a long time, but if you don't know about it, be on attention because Black Project fins are the most important ones in the Stand Up Paddle world. We are going to introduce you the models for racing witth your board and go faster than ever. 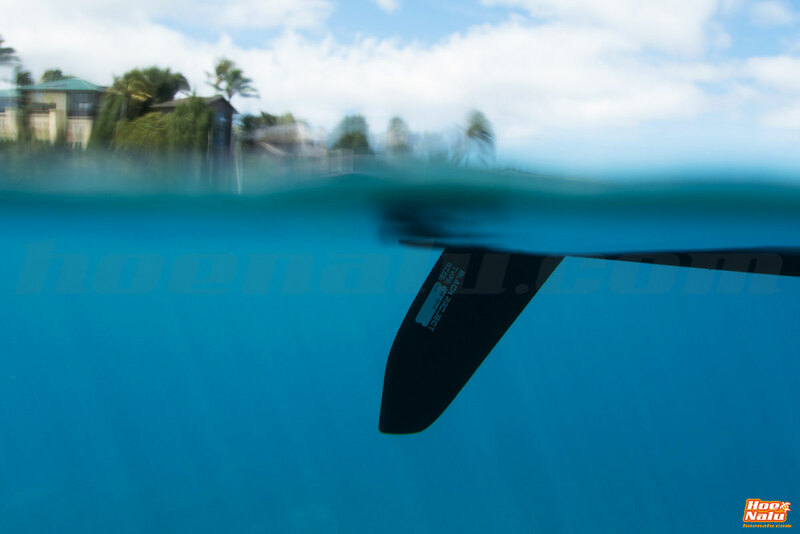 Best fins for competition events, the Black Project is as important as the board and the paddle to be the champion. Chris Freeman (co-founder) moved from UK to Hawaii when he was 18 following his passion, windsurf, and he get a lot of experience in watersports, so when SUP became popular he realized that paddlers were worry about the paddle and the board but they didn't focus on the fin, an esential part for any artifact which sail on the sea. So he decided to start the making of special fins for Stand Up Paddle. Black Project was founded on 2010 at Maui (Hawaii), where Stand Up Paddle born too, with a clear idea: make top products for top riders, so they would go faster than ever. Freeman has been in contact with the top riders of the world and that's the reason why Connor Baxter, Sonni Honscheid, Leonard Nika, Fyona Wilde, Zane Schweitzer or Bernd Roediger make the Black Project pro team, giving to Chris the best feedback to improve the fins and get the best results. For SUP race, the brand has three different models depending on the use and sail that you are going to do. All models use the Pro Carbon Ultralight technology by Black Project, so there are the lightest fins of the world, they are so light that they float, so you will not lose it. 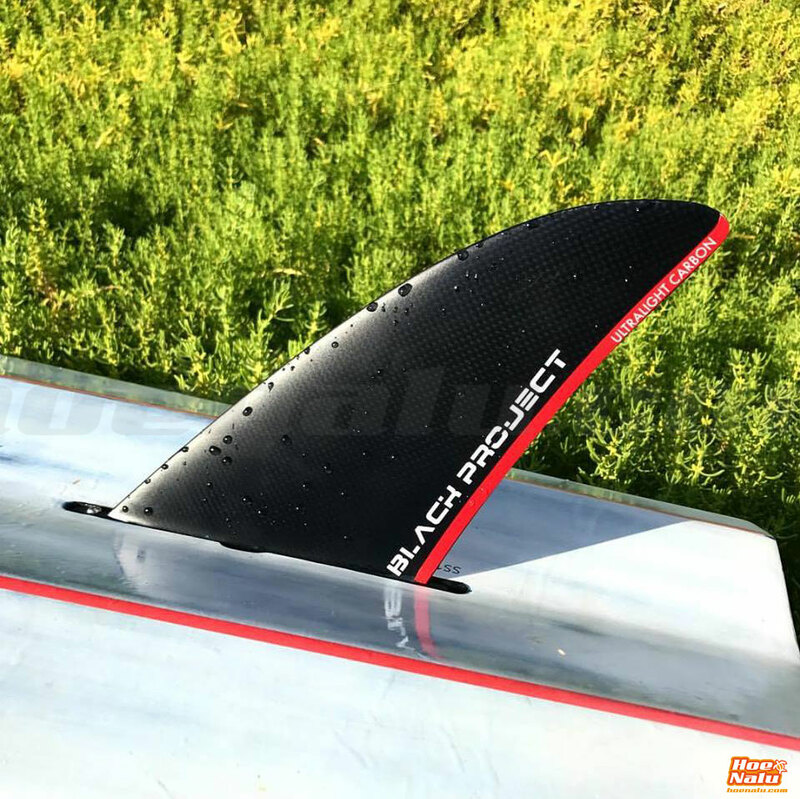 The Black Project Tiger fin is designed to get the higher speed that you can, a better performance and faster buoy turns, specially in flat water. It is strongly recommended for middle or long distance races in flat water, and technical races with a few turns, no matter water conditions. If you are a rider with a medium or high cadence, you will feel how the Tiger allows you to paddle more by the same side because it helps to go straight thanks to its area. 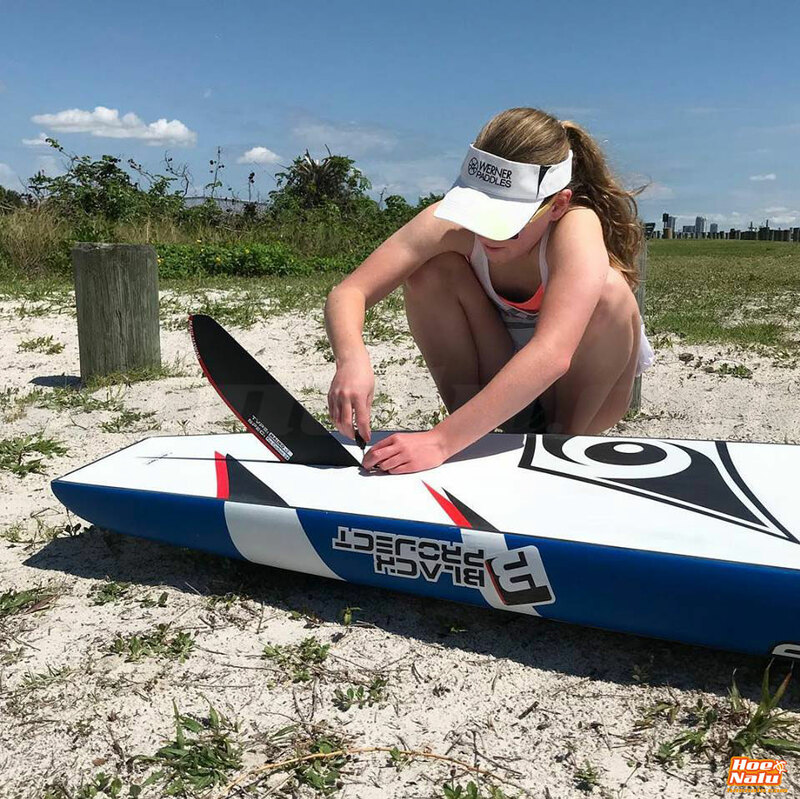 It is a short fin so it is ideal for beach starts and it makes the turns easy, but you feel the Tiger especially when you scape from the buoy turn and you sprint, where the Tiger will show you all the grip and you will gain some advantage about opposites, taking the right direction. If you try the Tiger you can check how it seems that you are riding on two different fins because it is awesome on turns as well as to get a straight direction thanks to the fast transition. 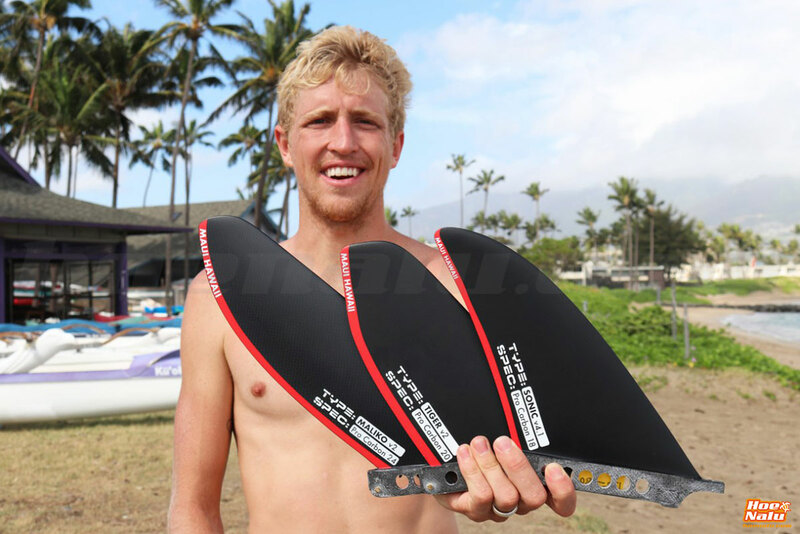 Connor Baxter recently said that he uses the Tiger for the training time in the Kahului harbor where it is flat conditions having the maximum balance even when he is paddling with the top strenght becasue the fin makes that the board goes balanced so the friction is minimal. The Black Project Sonic fin was developed to be the fastest SUP race fin as well as being the most maneuverable SUP race fin. It was the culmination of 12 months of design testing by SUP racers on Maui and around the world. Designed for blistering speed, enhanced flow and ultimate control especially in ocean and river conditions. The Sonic is highly recommended for beach or surf races and downwind SUP racing. 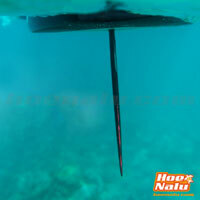 The Sonic has a 45° initial angle on the leading edge with progressively more curve, hence it is great at shedding weeds and trash, given it is short length then those paddling in shallow waters will also like this fin option. The combination of a race proven foil and progressive rake enable experienced paddlers take advantage of even the smallest of bumps. It is the best fin for Connor Baxter and he uses it for training open water condition where he can drive the board through the waves and bumps faster. 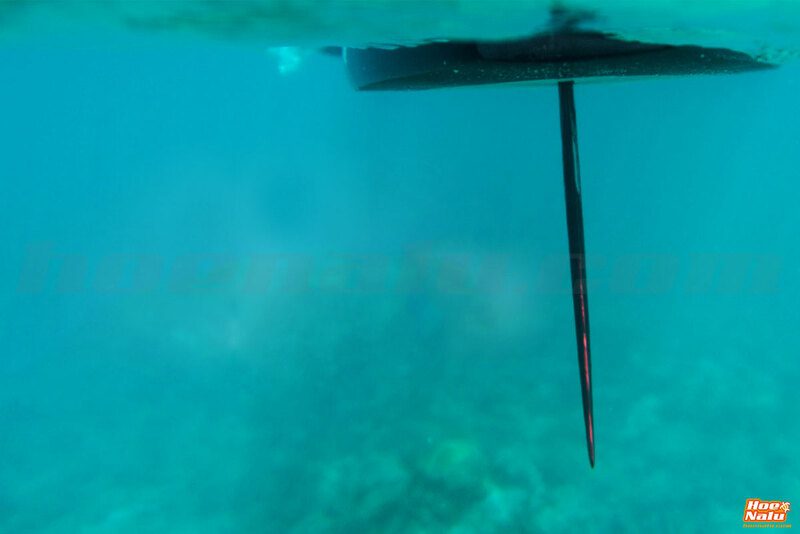 The Sonic is the most famous fin between pro riders thanks to the great result that it has given in a lot of races where the conditions are hard or there are a mixture between downwind, choppy and flat sections. The Black Project Maliko fin, take your attention for the big size that it has. It is the fin that gives you more stability and a better performance when conditions are very bad and the board starts to move a lot, so you can be on the board more time without fall into the water and you will get a higher average speed. For flat water condition the Maliko is the fin that you must choose to paddle for a really long distance, when you make a lot of kilometers to go and back because you improve the direction of the board thanks to its big size that allows you to paddle by the same side a lot of time. Bart de Zwart used this fin to make the 24 hrs non stop record because if you paddle by the same side more time, you can go faster and you can make more distance in less time. It has a 45° rake which is optimal for shedding weed, kelp and trash which otherwise would slow you down. The Maliko SUP race fin is best suited for intermediate to advanced level stand up paddlers with a low to medium cadence. 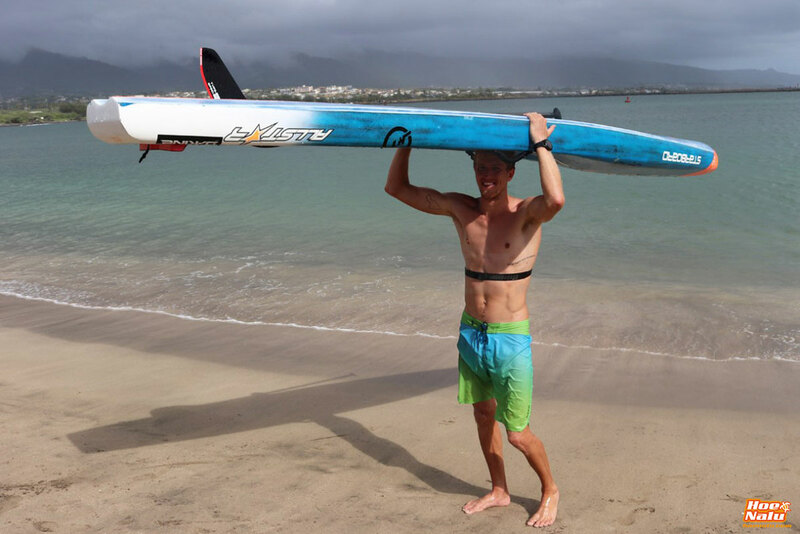 The Maliko SUP race fin will help you paddle a narrower sup race board and on rougher water than previously possible. The Maliko is often used by paddlers looking for extra stability after changing down to a narrower board. Now, with the Maliko fin, you can ride on a board 2 inch narrower than the one that you have but remember that it is difficult to turn on the buoy with this fin or make radical movements. 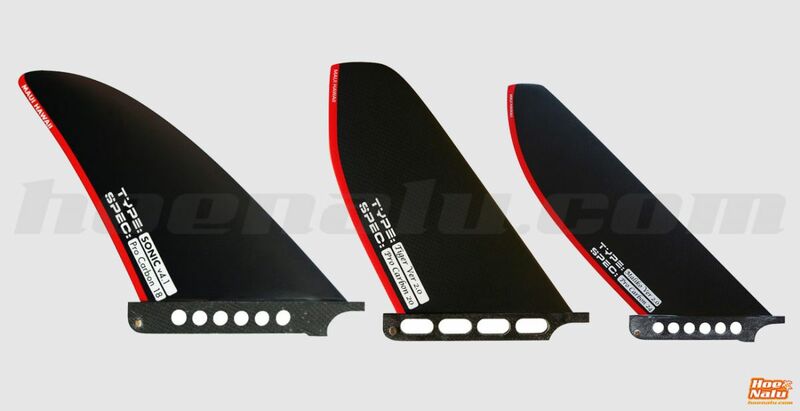 The Black Project fins have two systems depending on the board where you place it. US-Box system: Starboard, Fanatic, NSP, JP-Australia & Mistral. US-Surf system: Naish, SIC, NSP (old models) & 404. The difference between both systems is a small mountain that has the US-Box system, while the US-Surf system has a straight base. If you have the same brand always, you can choose the appropriate system, but if you want to change the fin between different brands of paddle boards it is easy to adapt it to different boards easily. Do you want to improve the performance of your board? 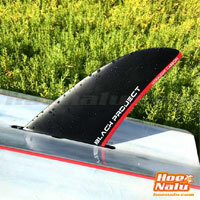 On HoeNalu.com you will find the Black Project fins that help you to go faster and get the goals. Any doubt or any question, feel free to ask us!